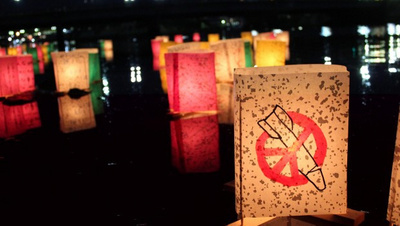 The United Nations General Assembly has designated 26 September as the International Day for the Total Elimination of Nuclear Weapons, being celebrated this year for the second time "to enhance public awareness and education about the threat posed to humanity by nuclear weapons and the necessity for their total elimination in order to mobilize international efforts toward achieving the common goal of a nuclear-weapon free world." Achieving global nuclear disarmament − or at least forms of nuclear arms control − is one of the oldest goals of the UN. Nuclear weapon control was the subject of the first resolution of the UN General Assembly and it is the heart of Article VI of the Treaty on the Non-proliferation of Nuclear Weapons (NPT). "Each of the Parties to the Treaty undertakes to pursue negotiations in good faith on effective measures relating to cessation of the nuclear arms race at an early date and to nuclear disarmament, and on a treaty on general and complete disarmament under strict and effective international control." A Review Conference on the Treaty is held at the United Nations once every five years since 1975, and the representatives of non-governmental organizations (NGOs) have constantly reminded governments of their lack of "good faith". I chaired the NGO representatives at the 1975 and 1980 Review Conferences, and while our views were listened to with some interest, the Review Conferences have been a reflection of the status of world politics at the time not a momentum for change, as the 2015 Review showed. There are still some 16,000 nuclear weapons in the world, largely in the hands of the USA and the Russian Federation, some on "ready alert". There are plans to "modernize" nuclear weapons, and there are at least seven other States with nuclear weapons: North Korea, Pakistan, India and China in Asia, Israel in the Middle East and France and the UK in Europe. 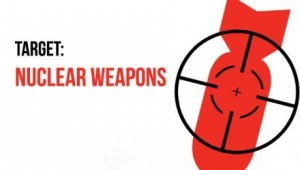 The instability and tensions of current world politics merit that we look at the ways in which governments and NGOs have tried to deal with the existence of nuclear weapons, their control and their possible abolition. 1) presented, dropped, re-presented, combined with other proposals for political settlements, linked to proposals for general disarmament or focused on nuclear issues alone. The first avenue proposed was the Baruch Plan, named after Bernard Baruch, a financier, often advisors to US Presidents going back to Woodrow Wilson and the First World War. He had been named a US delegate to the UN in charge of atomic issues. At the time, the USA had a monopoly of the scientific knowledge and technology needed to produce the A-Bomb, but the scientists who were advisors to Baruch knew that it was only a matter of time before other States, in particular the USSR, would also have the knowledge and technology. Therefore it seemed that the best hope of avoiding an arms race with nuclear weapons was to bring all the atomic energy industry under international UN control. The Baruch Plan proposed the creation of all International Atomic Development Agency which would have a monopoly of all activities connected with atomic research and development such as mining, ownership and management of refineries and the construction of atomic reactors. The Agency staff would be internationally recruited and would be free from interference from national governments. However, the Baruch Plan was proposed as the Cold War (1945-1990) was starting to heat up and become more structured. In 1949, the US nuclear monopoly was broken by the explosion of the first Soviet bomb, and then in 1950, war started in Korea. The Korean War led to the next stage, the second and third avenues in nuclear arms policy, someone contradictory but proposed at the same time, and in the light of the Korean War experience. nuclear-weapon free zones. In October 1957, the Polish Minister of Foreign Affairs, Adam Rapacki, put forward a plan for creating a nuclear-weapon free and neutral zone in central Europe, usually known as the "Rapacki Plan". The first stage would be the 'freezing' of nuclear armaments in Poland, Czechoslovakia, and the two German States. The second stage would consist of a reduction of conventional armaments and complete de-nuclearazation of the four States. Although there had been intense discussions within the Warsaw Pact States before the Rapacki proposal was made public, mutual mistrust and suspicion among NATO and Warsaw Pact countries was such that no negotiations were undertaken. The situation was made all the more complicated by the Western refusal to recognize the German Democratic Republic. However, Rapacki had given birth to the innovative idea of negotiated nuclear-weapon free zones coupled with confidence-building measures. Nuclear-weapon free zones took shape after the 1962 Cuban missiles crisis. Even today, it is difficult to know how close to a war the 1962 nuclear missiles in Cuba brought the USA and the USSR. It was close enough that it worried leaders in Latin America. Led by the Ambassador of Mexico to the UN and later Nobel Laureate, Alfonso Garcia Robles, negotiations for a Latin American nuclear-weapon free zone were started, and in 1967, 21 Latin American States signed the Treaty of Tlatelokco . In Latin America, two of the largest countries, Argentina and Brazil have nuclear power industries and a potential capacity to develop nuclear weapons. Thus the Treaty provides a confidence-building framework between these two regional powers, although the two States have none of the tensions between them that colored Warsaw Pact-NATO relations. The Latin American nuclear-weapon free zone has led to other treaties creating nuclear-weapon free zones in the South Pacific, Africa and Central Asia. 4) The fourth avenue and the one most discussed at the UN these days is a convention to ban the possession and use of nuclear weapons on the lines of the conventions to ban chemical weapons, anti-personnel land mines and cluster munitions. These bans are based on the unacceptable humanitarian consequences of the use of nuclear weapons, the inability to distinguish between civilians and military and other violations of the principles of humanitarian law. A Nuclear Weapons Convention has captured the imagination of many in the disarmament community, initially among NGOs but increasingly within the governments of non-nuclear weapon States and the diplomatic community. The Nuclear Weapons Convention is strongly modeled on the Chemical Weapons Convention. Having followed from the sidelines the decade-long negotiations in Geneva which led to the Chemical Weapons Convention, I see two major differences. First, there had not been the wide discussions of the strategic use of chemical weapons as there had been on the strategic use of nuclear weapons in limited war situations. The second difference which had its impact is that the major chemical companies in Western Europe and the USA did not want to get involved in making chemical weapons. The costs for securing the manufacture of such weapons was greater than what they could charge governments for chemical weapons. Western governments were also reluctant to construct government-owned factories for making chemical weapons, all the more so that there existed a 1925 Geneva Protocol against their use. However, there is still money to be made in the nuclear weapons field. My own view is that effective nuclear-weapon control will come from a combined regional conflict resolution and nuclear-weapon free zone approach that was first set out in the Rapacki proposals. I believe that the Korean Peninsula holds the most potential for a settlement within a nuclear-weapon free zone. There are proposals for re-starting six-power talks, and there are some Track II-NGO efforts along this line. A Middle East nuclear-weapon free zone coupled with conflict resolution and security provisions would be the most necessary given the current tensions and armed conflicts. The recent agreement with Iran may be a step in this direction. India-Pakistan tensions have gone on so long that both States may know how not to push too hard, but there are always dangers of events slipping out of control. 26 September serves as a reminder of the avenues proposed for nuclear disarmament, but disarmament diplomacy has stalled too often and inconsistent policies by governments have made the goal of complete elimination seem unreachable in the short term. Nevertheless we, as non-governmental peacebuilders, must continue to work creatively to generate the groundswell of opinion that will create a momentum of political will to move to a world without war and without nuclear weapons. 2) OSGOOD. R. (1957) Limited War: The Challenge to American Strategy.